The subject of this episode gets the point across: Identity. Is it mine, yours or someone elses? Welcome to Season 6’s two parter. Part 1 being The Rebel Flesh and Part 2 being next week’s The Almost People. The Rebel Flesh has a similar set up to last years effective two parter re-introducing the Silurians. It reminded me of The Thing except in a English Castle. And, in the dark with slightly high tech outfits it comes across as an alien world. 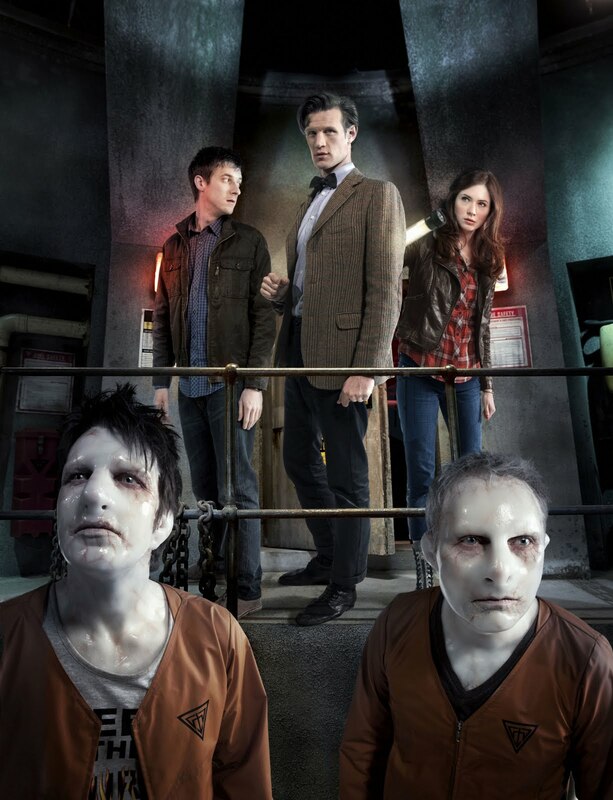 Several dangling plot threads from the previous episodes rear their heads: Amy’s pregnancy and the eyepatch lady but before we can even touch on those the TARDIS encounters a solar storm and the Doctor and Co. are dropped into the 22nd Century on island that is mining for acid using something that’s highly effective in the teaser: Fake bodies to do all the hard, toxic, work while the controllers sit back in Borg-ish alcoves and control them. All in all a relatively safe procedure unless the skin is actually semi-sentient. So, introducing a solar storm with a solar powered station and hilarity ensues. It’s a great idea so the actors can do double duty as both the good version and bad versions of themselves. For the most part it works and I hope The Almost People allows the characters to become more three dimensional then they are right now. Unfortunately, this is one of the set backs to having a 45 mins show instead of spreading it out over 3-4 30 minute episodes, the characters get short shafted like the Holy Marines in The Weeping Angel two parter from last year. On a side note, the rebel flesh in their vat had me wondering if the Nestene Conciseness started out like this. Can we have a moratorium on the Doctor and climbing tall buildings, weather vanes and electrical towers. It never ends wells: First example with #4 falling to his next regeneration and #10 in The Idiot’s Lantern. This entry was posted in Doctor Who, Geekdom, Reviews, Television, television and tagged doctor who, television reviews by RK Bentley. Bookmark the permalink.